Dr. Kruse attended medical school at the University of California, San Diego after completing his undergraduate studies at the University of California, Berkeley. He did his residency in Family Medicine at Long Beach Memorial Medical Center. After residency, he obtained a second board certification in sports medicine with the completion of fellowship training at the University of Notre Dame. After fellowship, Dr. Kruse held dual faculty appointments at UC Irvine with the Departments of Family Medicine and Orthopedics and he currently practices as a sports medicine specialist with the Orthopaedic Specialty Institute, while maintaining a volunteer teaching appointment. Dr. Kruse currently serves as the USA Gymnastics Athlete Care Coordinator and the USA Gymnastics Men’s National Team Physician. He is also a team physician for the University of California, Irvine and multiple sports teams in the Orange County area. His personal athletic history includes: 6-time NCAA Gymnastics All-American and a 4-time member of USA Gymnastics National Team. Dr. Kruse is an active member of the American Academy of Family Physicians, the American Medical Society for Sports Medicine (AMSSM), and the American College of Sports Medicine. 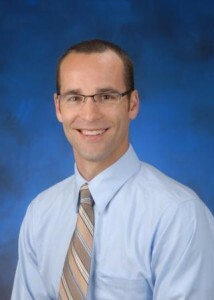 Dr. Kruse’s outside interests include spending time with his wife Mindi and their two children, Alex and Lyla. He also enjoys yoga, surfing, playing guitar, and catching up on all sports by watching SportsCenter.